With a squeeze on space and limited appetite amongst most Chinese gamblers, poker hasn’t really taken off in Macau. But the game is growing, as are the number of poker rooms. And, while Macau may not have many tables yet, it is home to some of the biggest pots and games in the world. Unlike baccarat or roulette where you can roll up and join in the fun at the table, poker needs a little more organization. The game is usually played on tables inside a poker room. These rooms offer a variety of games, with varying buy-in, minimum bets, and other rules. One of the most ubiquitous names in poker runs the City of Dreams poker room in Macau. There are daily tournaments and regional competitions, but Pokerstars also offers cash games, including more modest limits than you'll find at rivals. The Texas Hold'em games start with stakes as low as HK$25/50, making it an excellent destination for beginners who still need to find their feet. The casino and poker room is open 24 hours a day and tournaments generally run from 4 p.m. onwards. You’ll find both Texas Hold 'Em and Omaha at the Wynn, with the smallest buy-in at HK$500. The Wynn has been involved in poker in Las Vegas for a long time, and the experience shows. The room is well laid out and comfortable, while the staff is thoroughly drilled and approachable. Unfortunately, it’s so good that you should expect some of the worst waiting times in the city to get a seat. Venetian Macau has folded and opened a poker room so often it can be hard to keep up with when they are dealing. Their latest offering is the best yet, teaming up with the renowned Poker Kings to offer a high-end room for Big Fish players. Found on the casino floor of the Venetian, it feels a little less intimidating than some of the more tucked away rooms at rival casinos. Some of the biggest tournaments in Asia are held in this room, but you can also sit down and enjoy a few hands of Texas Hold 'Em for an $HK25/50 stake. The room is open 24 hours. Once the biggest poker game in the world, the buy-in at the Starworld Casino once topped $1 million. But the Poker King outfit who ran the game has now moved on to the Venetian, taking the heavy hitters with them. Starworld still runs poker games, but it's more local and low-key. Expect small to medium stakes and pots. There are eight tables, with at least some in action round the clock. 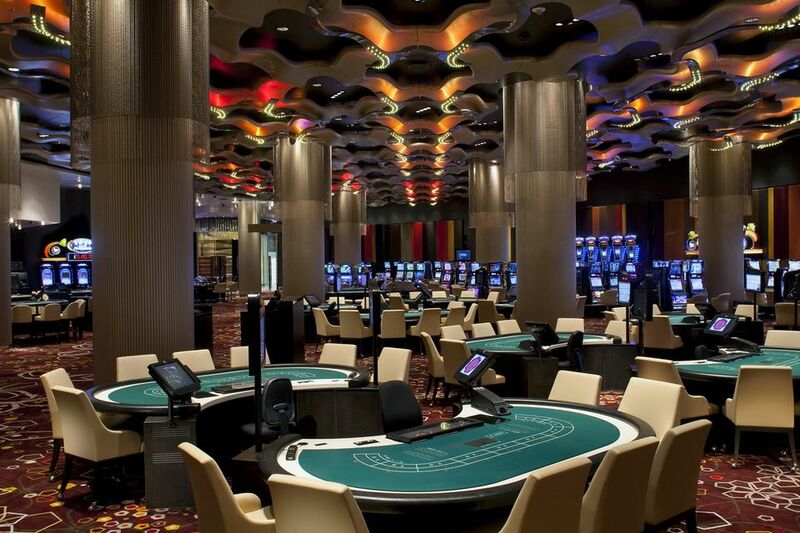 The newest poker room in Macau is proof that the game is gaining in popularity. Poker Kings also runs it, and you'll find it well designed, comfortable and staff who are calm and collected. You'll also find the cheapest stakes in town with stakes available at HK$10/20. The room is open twenty-four hours a day. Make a reservation if you can, as the tables are wildly oversubscribed. While anybody can turn up and play, you won’t play straight away. Waiting times are often several hours, although you can head off and explore the casino while you wait for the poker room to call you to join when a seat becomes free. Friday and Saturday nights are the busiest periods, as well as during one of the many regional tournaments held in Macau. If you’ve always thought the smoke that wafts around poker games when you watch them in films looks atmospheric, you’re in luck, because smoking is allowed in Macau casinos and everyone will be puffing away. While the dress is relatively relaxed, you won’t be admitted in if you're wearing shorts and sandals.